When the world becomes unplugged, a pair of exiled older women retreat to the frozen moonlit land, retrieving wisdom from the past to survive, love, learn. And find a future. 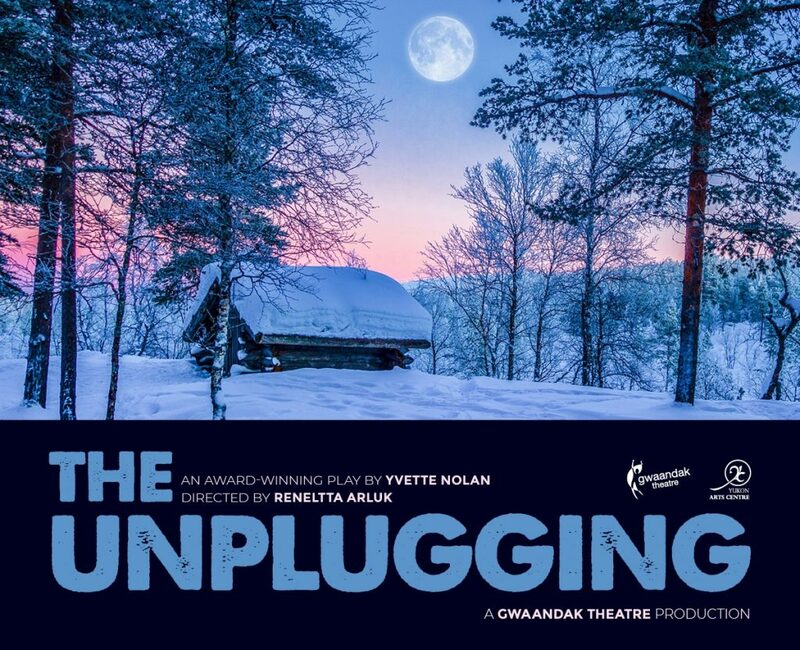 Gwaandak Theatre invites you into the post-apocalyptic landscape of The Unplugging, a contemporary Indigenous story by internationally recognized Canadian playwright Yvette Nolan. This award-winning play follows the journey of two older women, who are exiled from their village for being past child-bearing age. The pair retreat into the bush to survive, but are forced to make a difficult decision when the same people who cast them aside come asking for their help. Inspired by the Gwich’in story Two Old Women, as told by Velma Wallis.